The earliest versions of the 2-6-0 Mogul steam locomotives were built in 1863 by the Rogers Locomotive Works in Paterson, NJ. The design was an improvement on the then standard 4-4-0 wheel arrangement. In theory, the 2-6-0s extra set of driving wheels offered a 50% increase in tractive effort over the older design. It is estimated that well over 11,000 Mogul-type locos were built for the next 50-plus years. Like the 4-4-0 American-type locomotive that it was designed to replace, the 2-6-0 was a general-purpose steam locomotive that was found in both freight and passenger service. N 2-6-0 Mogul Steam Locomotive - New Paint Schemes! N 2-6-0 Mogul Steam Locomotive - New Road Numbers! N 40' Stock Cars - New Road Numbers! N 40' Stock Cars - New Paint Schemes! N 40' Plug-Door Box Cars - New Road Numbers! N 40' Plug-Door Box Cars - New Paint Schemes! N Cupola Caboose - New Road Numbers! N Cupola Caboose - New Paint Schemes! 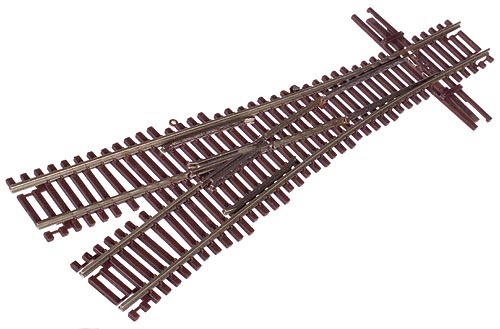 Designed with precision and sophisticated technology, Atlas' Code 55 track (with nickel silver rail) has the same reliability and durability as the popular Code 80 track but with a more prototypical appearance..